Michael Schindler, better known by his stage name Shindy, is a German rapper and music producer of Greek descent, born on November 7, 1988 in Bietigheim-Bissingen. He established himself in the German hip hop scene as a featured artist on Kay One's and Bushido's albums and was at some points rumored to be their ghostwriter, though right now being in a feud with the first one. He had his national breakthrough as a solo artist with the controversial viral music video "Stress ohne Grund" in 2013. Having released an album each year since then, as of 2016 each of them topped the charts immediately. Shindy's musical style is laid back but luxurious. Several of his songs feature intentionally megalomanic lyrics, and showcase a love for noble fashion and luxury cuisine. In contrast to that, Shindy often showcases a lazy and relaxed attitude. His beats are often extravagant and center around piano, trumpet or soul samples. With his 2016 album "Dreams" he also interpolated trap into his music. Especially in the beginning of his career, Shindy was known for his slow and casual flow, which was very polarizing back then but since then became his trademark. He also established the American "supa dupa flow" in Germany, which became known as "hashtag flow" in the country and is usually associated with him. Shindy furthermore uses several references to American rappers, especially Drake, Lil Wayne and Kanye West. Shindy's critical reception has been largely positive, and his overall attitude was found to be very refreshing for the mostly dark and street centered German hip hop. In 2016, Shindy released a deluxe box set of his album "Dreams", which became a trend in German hip hop in the 2010s, which cost more than twice the price of the regular album. He marketed the box by frequent teasing while keeping the acual content secret and created a hype around the box. On the release date it turned out to contain a dark gray backpack which was regarded "cheap and ugly" by fans, as well as a DVD with previously released music videos. The incident caused a huge backlash from fans and received a lot of media coverage, especially from the hip hop centered press. This edition caused several rappers to put more effort and content into their boxes, often exclusive full length mixtapes or albums. The incident overshadowed the actual album and caused many negative reviews. 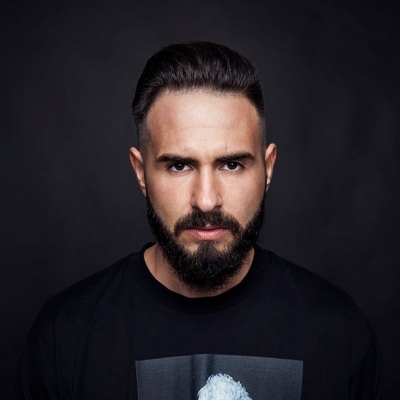 Shindy is a personal friend and frequent collaborator of Bushido and Ali Bumaye, and despite the very different styles the three share a common fanbase. Top Ten Songs from Shindy's "Dreams"